The Vaporesso Tarot Nano is yet another mod from Vaporesso that attempts to buck the current trend of mods getting bigger and BIGGER. The Vaporesso Tarot Nano is a smaller version of the Vaporesso Tarot Pro, a mod that looks so cool in the flesh we called it the best looking mod ever created. There is a lot to like about what Vaporesso does these days. 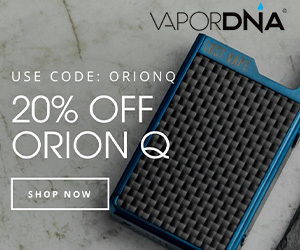 Next to SMOK, I cannot think of another vape company that takes the science of vaping quite so seriously. Whether you’re talking about design, features, safety, power efficiencies or coil systems, it matters not. Vaporesso has a solution that is novel, well executed and designed to make your life more pleasurable. 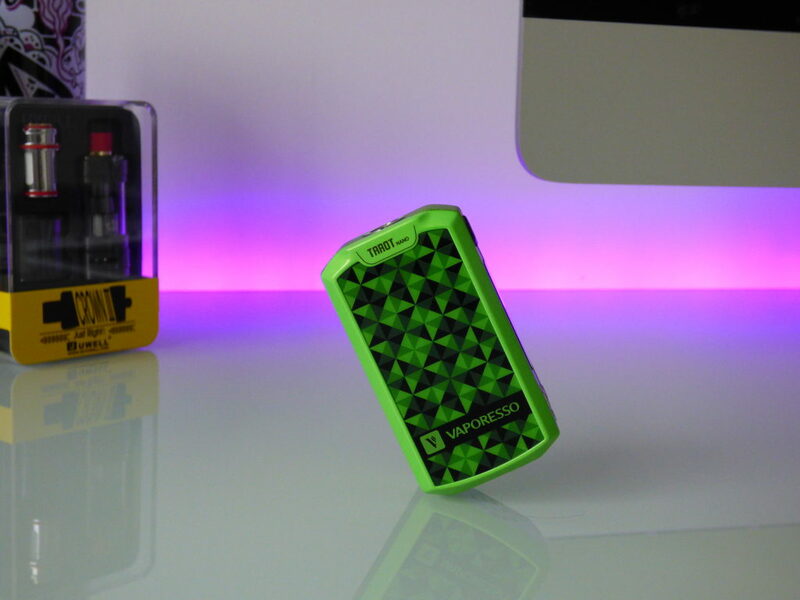 The Vaporesso Tarot Nano is just one of the company’s latest attempts at cracking the micro-mod market, a place where things are hotting up a lot quite recently. But is it any good? 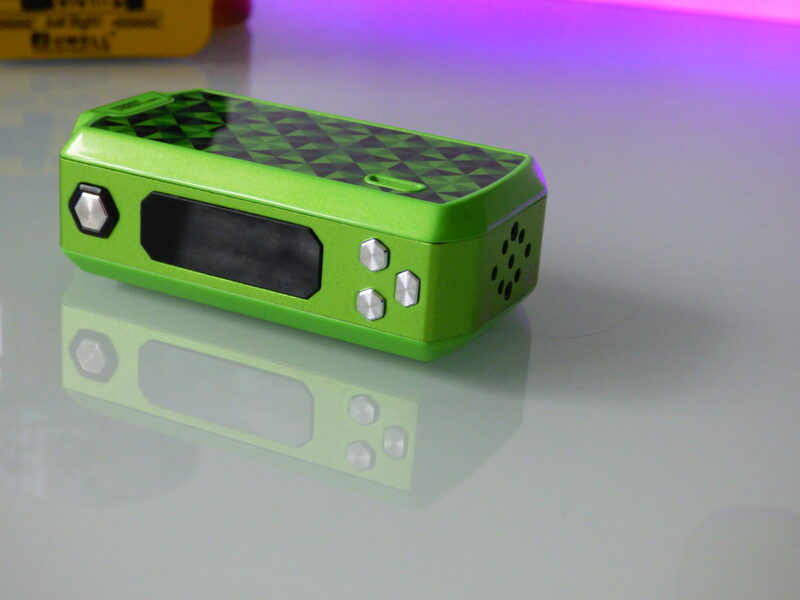 Is this micro-mod worth the outlay? 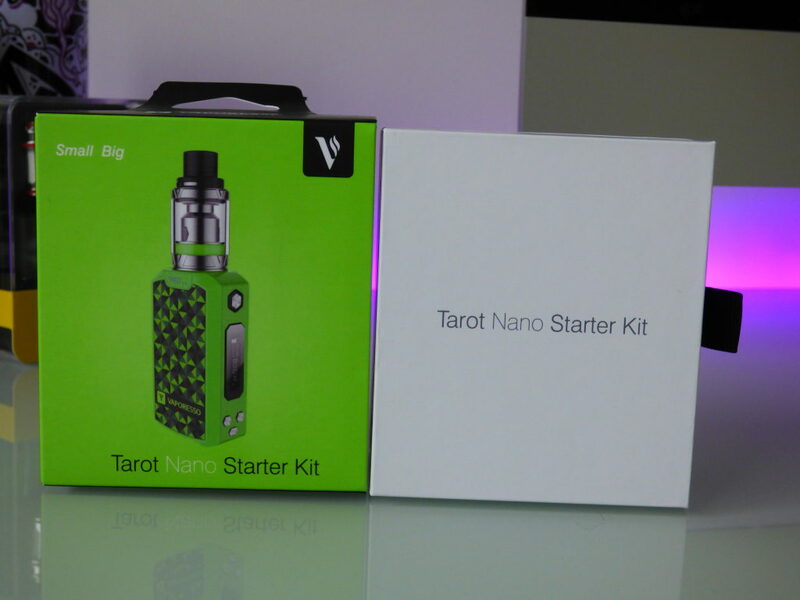 Or, should you just go for its big brother, the Vaporesso Tarot Pro? Let’s bloody well find out, shall we? 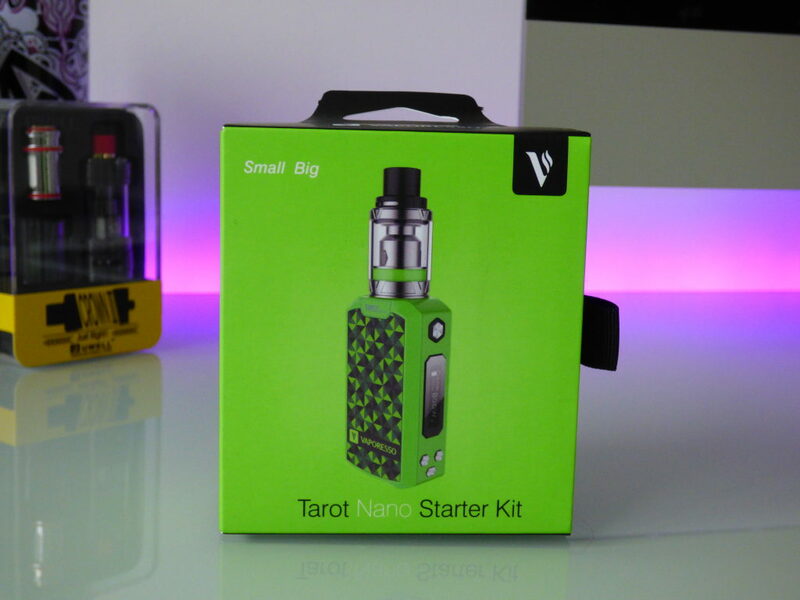 The Vaporesso Tarot Nano is tiny – teeny-tiny, in fact. Fittingly, so is the box it ships in, which can be more or less held in the palm of your hand. To access the box’s contents, simply slide out the inner box to reveal the Vaporesso Tarot Nano mod, the spares (listed below), the manual and a charging cable (USB). Vaporesso, like SMOK, tend to include quite a bit of gear inside their packs and I really like this. It shows they care. It shows they’re willing to do more than just take your money and hope for the best. I hope more brands take note of this in 2017/18. All in, the packaging is spot on. It looks and feels premium and Vaporesso has included plenty of spares and additional extras. Spot on. As I said above, the Vaporesso Tarot Nano is tiny. It’ll sit in the palm of your hand, get lost in your coat pocket and is one of the best looking stealth vape mods on the planet right now. 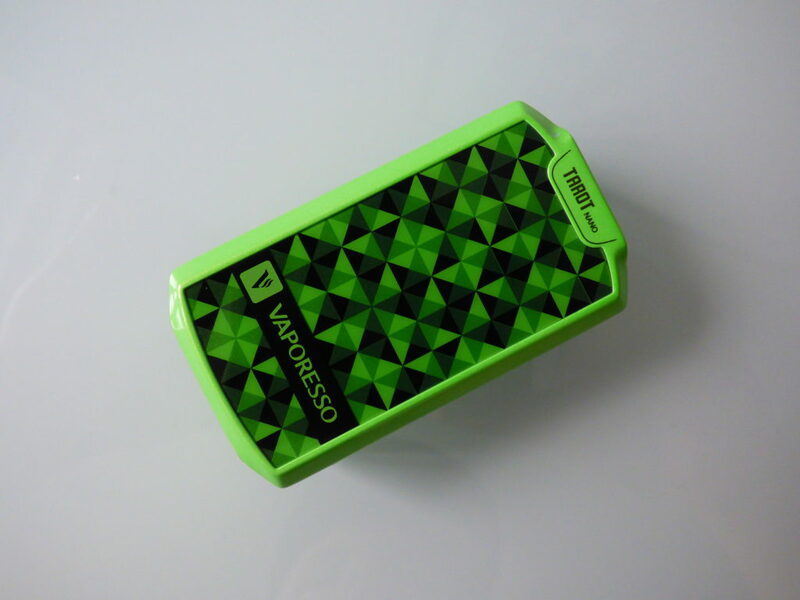 I got the lime green Vaporesso Tarot Nano and I love the way it looks; the design on the front, which looks like kevlar, shimmers under light and dances around. The net effect is eye-catching, unique and very well executed. The design gets two thumbs up from me; I love the attention to detail that has gone into this mod. Vaporesso’s designers have created something really impressive that is also visually stunning to behold – especially in LIME! The button placement is fairly straight forward: you got the fire button at the top, power/settings control below the OLED display, and a Mode Setting button at the bottom. The buttons are metal and feel extremely tactile. In addition to this, the size of each means you always know what your finger is on. The USB charging port is handily located on the front of the mod, depending on what orientation you’re holding it in, and this makes it easy to vape on while it is charging. 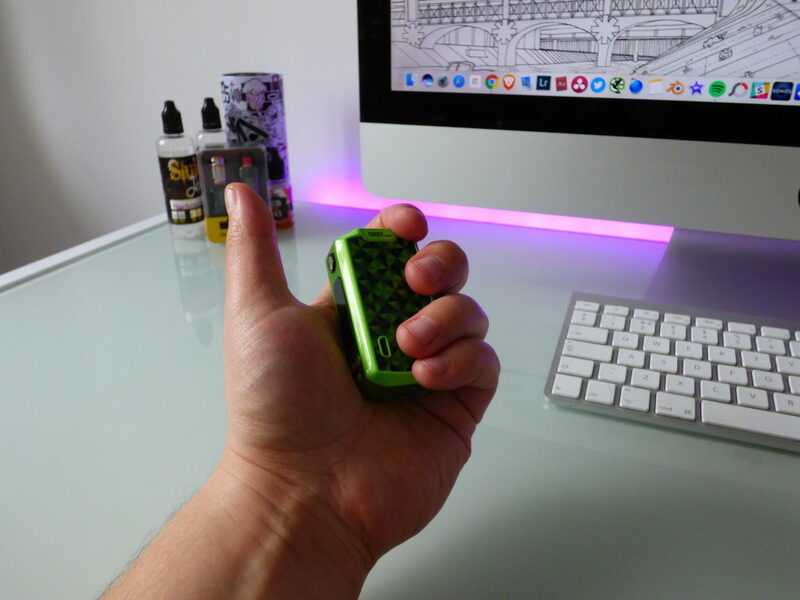 Way too many mods place the USB port on the bottom of the mod which makes it awkward to vape when you’re topping it up with power. How does this little stealth mod perform? In a word: brilliantly. I am a huge fan of Vaporesso, its OMNI board and the company’s 2017 products. They are all brilliant, well executed pieces of hardware. And because all of Vaporesso’s most current mods run on the company’s OMNI Board, it means you get parity across the board with respect to what you can do with the mod. The only difference here is that the Vaporesso Tarot Nano is A LOT smaller than its Tarot Pro and Nebula counterparts. You still get all the same features – TC Mode, Bypass Mode, Customised Wattage Curve and automatic atomizer recognition – and they all work exactly the same. If you’ve been following me on Instagram, you’ll know I’ve been using the Vaporesso Nebula pretty much exclusively for the past few months. The reasons for this are myriad; it does exactly what I want and, best of all, it does it at relatively low wattage, saving me a fortune on E Juice. The only real difference between the Nebula and the Tarot Nano, besides how they look, is to do with battery life. The Nebula is bigger, takes larger cells, and is, therefore, a lot better in this department. But that’s to be expected. The Vaporesso Tarot Nano is all about stealth vaping; it is a mod for people that don’t want a huge device, but still want excellent performance (up to 80W) and a great features-set. I have mine in my car, attached to a USB power supply, so I’ve always got a spare handy on long drives. However, you could use it as your daily mod, providing you keep it charged and don’t chain vape. In my tests, I got around 8-9 hours of heavy vaping out of the Tarot Nano. A more relaxed approach will likely yield a solid day and bit. I work from home and vape all day long, so when I say chain-vaping, I really do mean it. 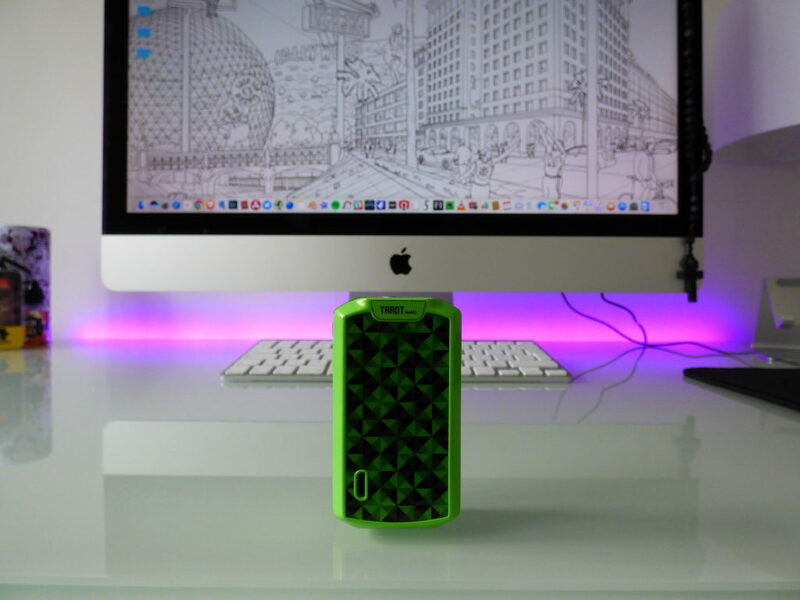 The Tarot Nano does do pass-through charging, so you can use it safely while it is charging. If you’re after a potent, feature-packed stealth vaping setup, the Vaporesso Tarot Nano is hard to beat. 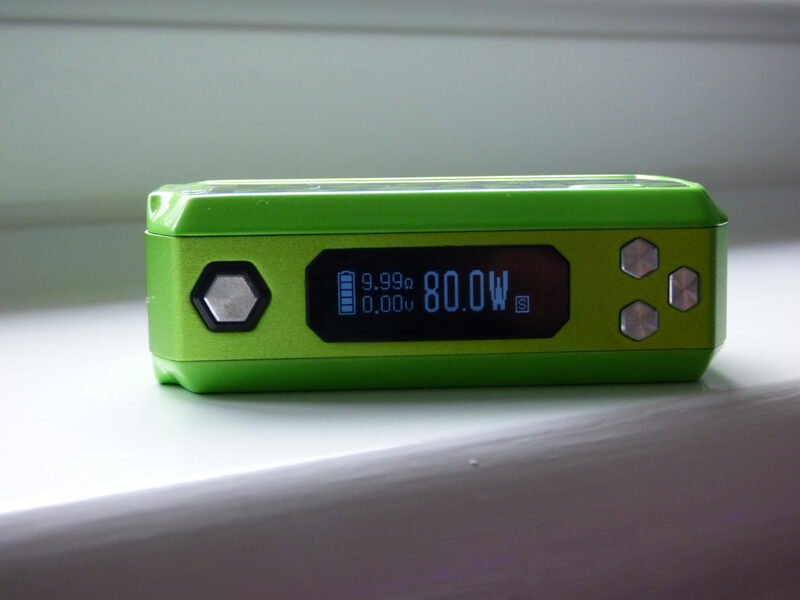 It looks amazing, especially in green, and it packs in a ton of exclusive and useful features you will not find outside Vaporesso’s ecosystem. 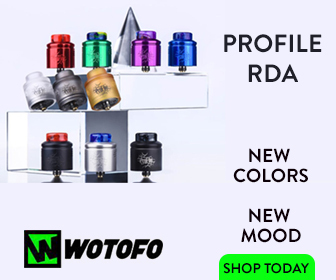 The build quality is excellent and the sub-ohm tank it ships with is brilliant. And Vaporesso’s EUC coils are easily some of the best in the business right now; they last an eternity and are super simple to switch in and out. The only downside to the Vaporesso Tarot Nano is battery performance; it doesn’t last as long as its larger counterparts. For casual vapers this shouldn’t be an issue, however, as there’s more than enough power in the cell for moderate usage. Chain vapers, however, would be better off with the Vaporesso Tarot Pro. You Can Pick Up The Vaporesso Tarot Pro Up From DirectVapor WITH FREE SHIPPING For $59.95 – Tank & EUC Coils Included!